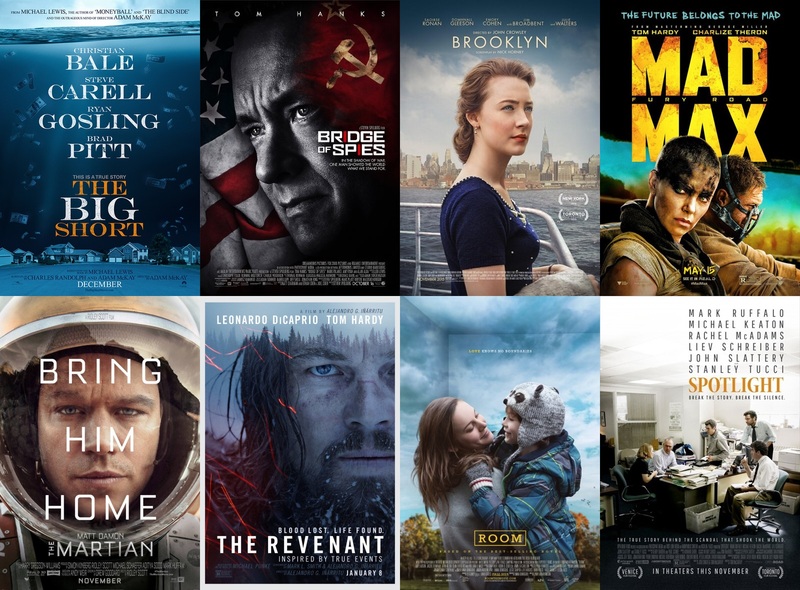 Oh, what a year it's been for film. So many great films. And now, that year is coming to an end tonight with the 88th Academy Awards. Here are my predictions in all 24 categories! All of the films listed were excellent. 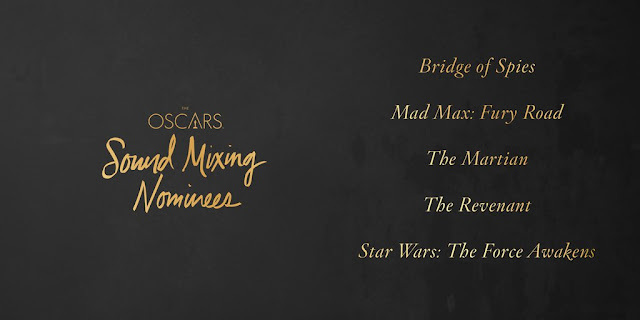 However, there are 3 films that don't really have a chance at winning: Brooklyn, Bridge of Spies, & The Martian. 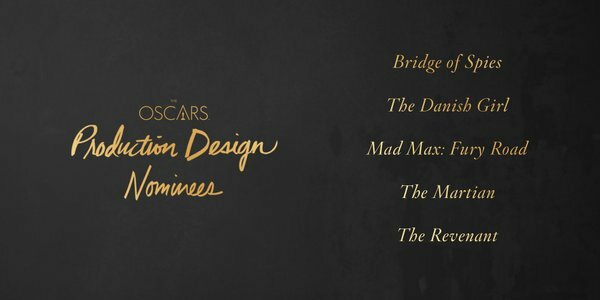 Mad Max: Fury Road could win, but I don't see the Academy giving the award to an action movie. Room could win, but I highly doubt it. 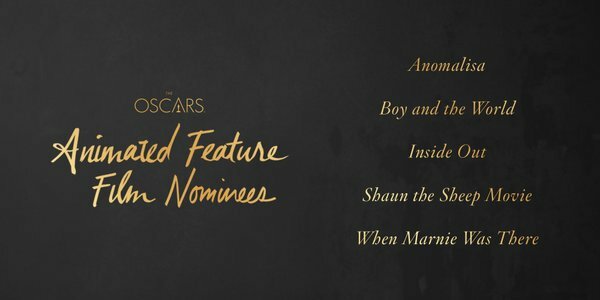 And the frontrunners are The Big Short, The Revenant, & Spotlight. 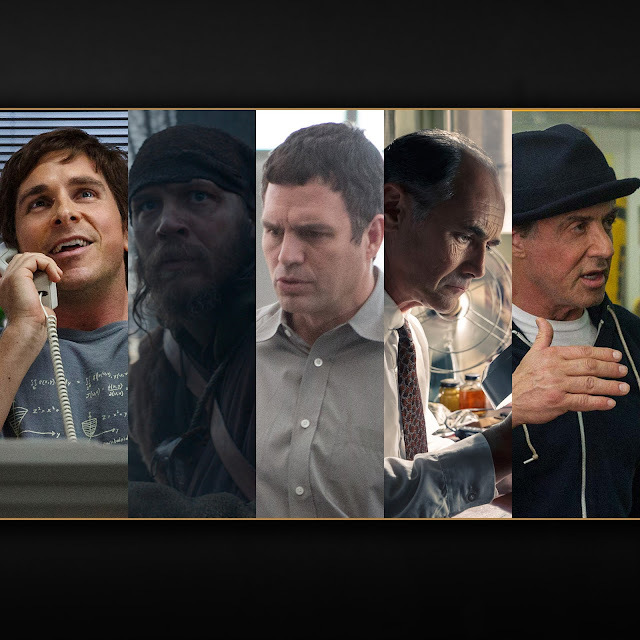 The Big Short could win, if certain things go their way, & the same also goes for Spotlight. But, I believe that The Revenant will win Best Picture. 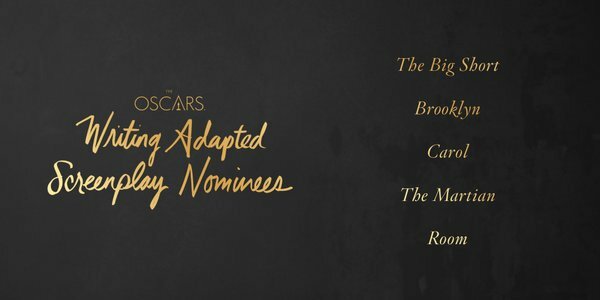 Lenny Abrahamson's nomination for Room was very unexpected, & he doesn't really stand a chance. Tom McCarthy's direction of Spotlight was considered a frontrunner, but has faltered recently. Adam McKay could win for The Big Short, but the chances of that are slim. 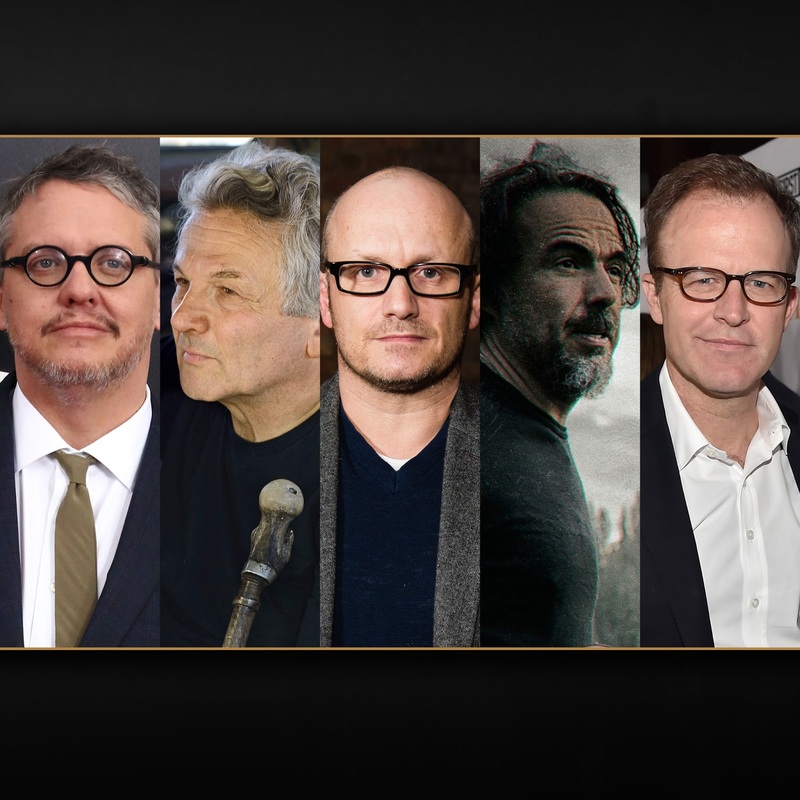 So it's down to Alejandro G. Iñárritu for The Revenant, & George Miller for Mad Max: Fury Road. But I think Iñárritu will win his second straight Oscar for Best Director. I think it's safe to say Leonardo DiCaprio is finally going to win his first Oscar. Bryan Cranston shouldn't have been nominated for Trumbo, but Michael B. Jordan should've been nominated for Creed instead. Eddie Redmayne already won last year, so he won't win this year for The Danish Girl. Matt Damon's nomination for The Martian never really stood a chance. 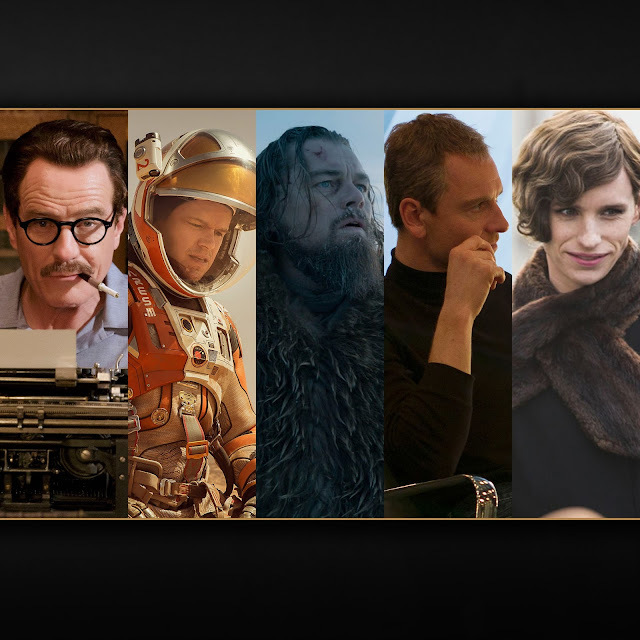 The only person that was close to DiCaprio was Michael Fassbender for Steve Jobs, but he'll finish a distant second. DiCaprio will win. 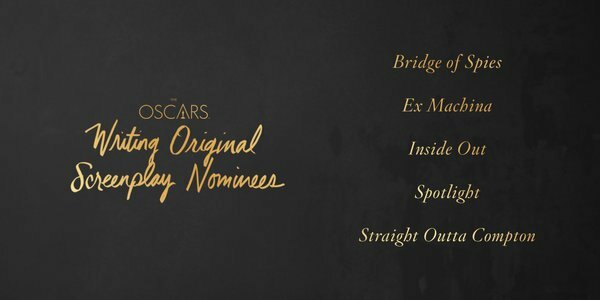 Brie Larson will definitely win for Room. She's been the frontrunner for a long time. Cate Blanchett for Carol & Jennifer Lawrence for Joy never really stood a chance. Charlotte Rampling was good, but I don't think she should've been nominated for 45 Years, & Alicia Vikander should've been put in this category for The Danish Girl instead. Saoirse Ronan for Brooklyn had the best female performance this year, but the momentum has been, & is going towards Larson. The award goes to Brie Larson. All the actors here gave excellent performances. Christian Bale gave his best performance ever in The Big Short. Tom Hardy became a menacing villain in The Revenant. Mark Ruffalo gave it his all in Spotlight. And Mark Rylance made a name for himself in Hollywood with his role in Bridge of Spies. But Sylvester Stallone will get the Oscar for his excellent return to his role of Rocky Balboa in Creed. Jennifer Jason Leigh was amazing in The Hateful Eight. Rooney Mara was dazzling in Carol. And Rachel McAdams was excellent in Spotlight. But it will come down to Alicia Vikander for The Danish Girl & Kate Winslet in Steve Jobs. 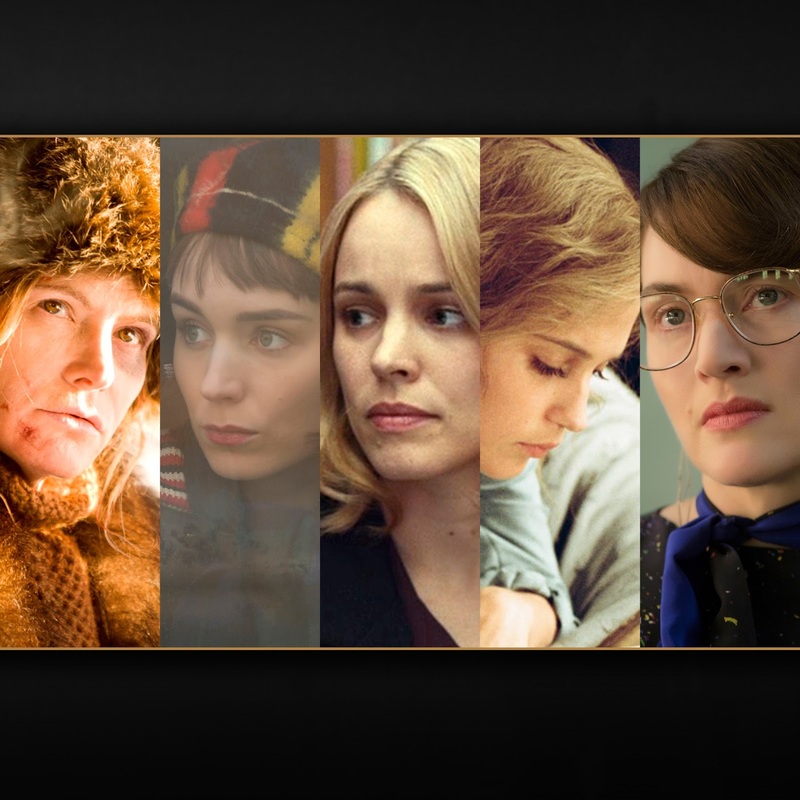 Winslet could win, but Vikander will win. 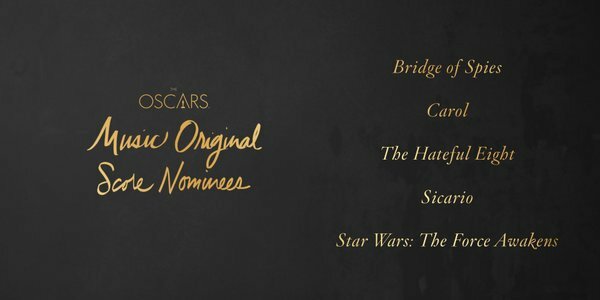 Vikander should be nominated for Best Actress instead, & Julie Walters should've been nominated in this category for Brooklyn. All of these films had excellent screenplays. But Spotlight will definitely win. None of the other films stand a chance. It's definitely going to be The Big Short. Room could possibly win, but those chances are slim. The others definitely don't stand a chance. 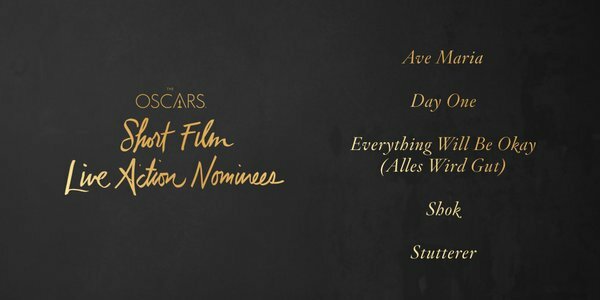 The Big Short will deservedly win. It's definitely going to The Revenant. All of these films had great cinematography, but The Revenant will definitely win. 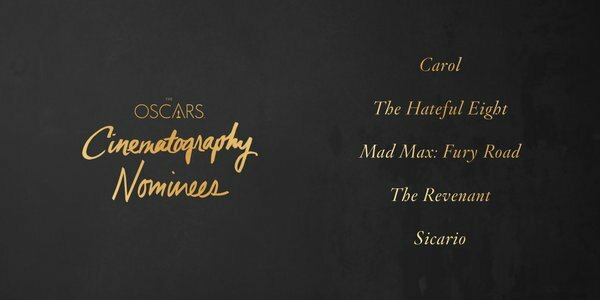 The only 2 films that could win are The Big Short & Mad Max: Fury Road. The other films don't stand a chance. But Mad Max: Fury Road will win. The Big Short could definitely win, but I think Mad Max: Fury Road will win. It's going to go to Lady Gaga & Diane Warren for Till It Happens to You from The Hunting Ground. 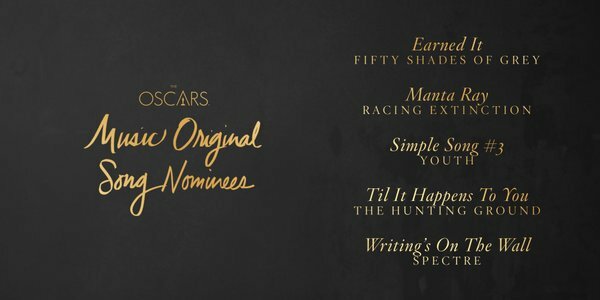 The only potential spoilers would be Sam Smith's Writing's on the Wall from Spectre, & The Weeknd's Earned It from Fifty Shades of Grey. But Lady Gaga & Diane Warren will win. John Williams was excellent again with Star Wars: The Force Awakens. Thomas Newman was nothing short of excellent with Bridge of Spies. Jóhann Jóhannsson was great again with Sicario. 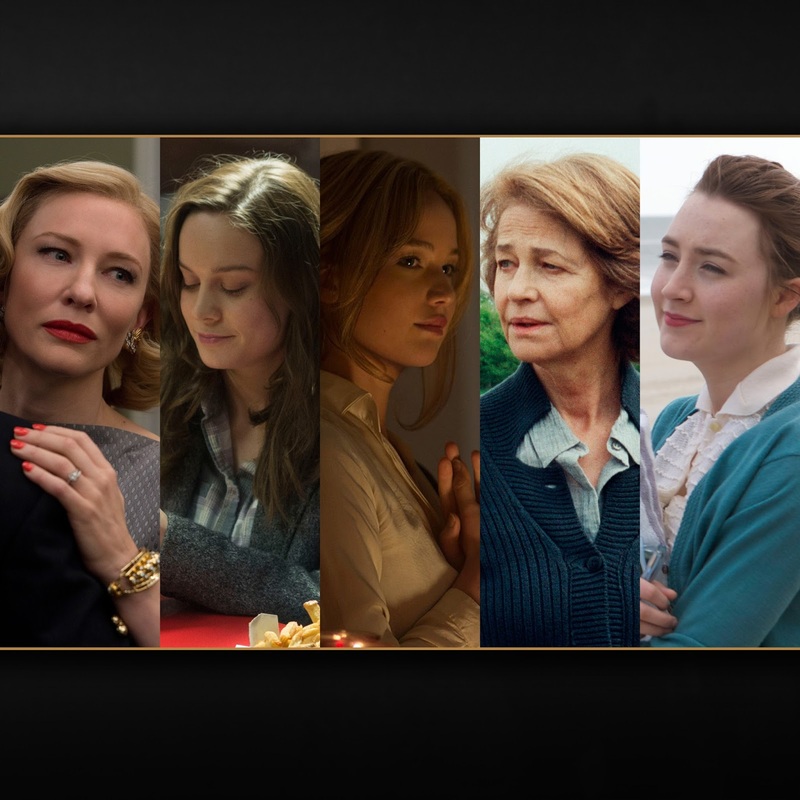 And Carter Burwell finally got his first Oscar nomination with his excellent score for Carol. But Ennio Morricone will finally get his first Oscar for The Hateful Eight. 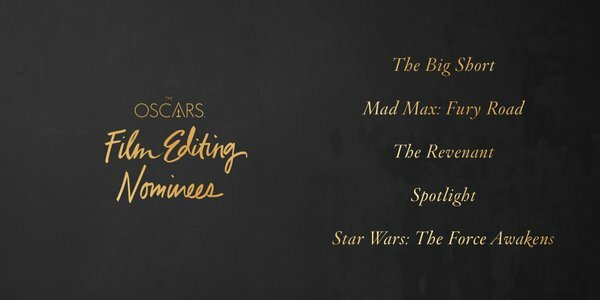 Mad Max: Fury Road definitely takes this category. None of the other films stand a chance. 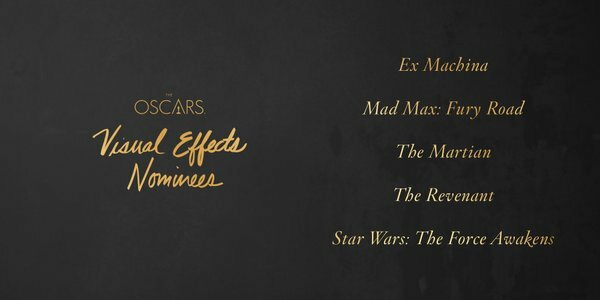 This award definitely goes to Mad Max: Fury Road. This will either go to Star Wars: The Force Awakens or Mad Max: Fury Road. But it will go to Star Wars: The Force Awakens. 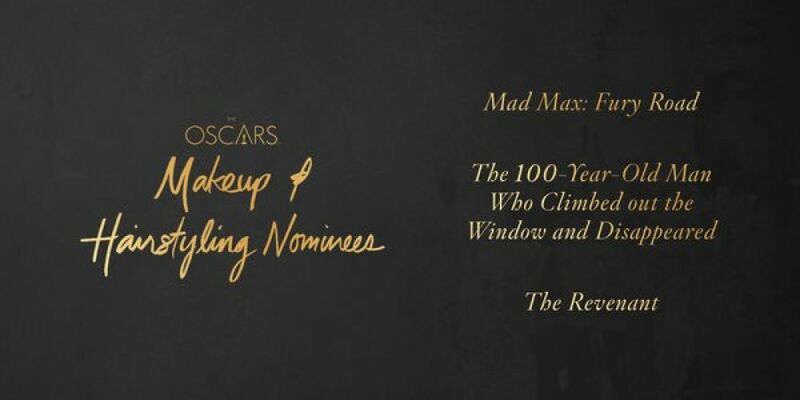 It's down to Mad Max: Fury Road & The Revenant. But Mad Max: Fury Road will definitely take this category. 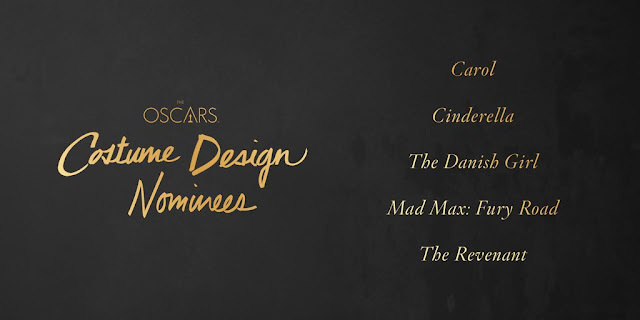 It's between 3 movies: Carol, Cinderella (both designed by Sandy Powell), & Mad Max: Fury Road. Mad Max: Fury Road will take this. Carol & Cinderella could both be potential spoilers, but I don't see it happening. Once again, it's down to Mad Max: Fury Road & The Revenant. 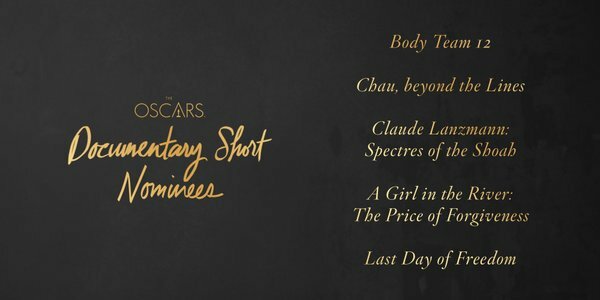 But The Revenant wins it here. I haven't seen The 100-Year Old Man Who Climbed out the Window & Disappeared, but Mad Max: Fury Road & The Revenant both had amazing makeup & hairstyling. But this goes to Mad Max: Fury Road. I've only seen Inside Out & Anomalisa. I loved Anomalisa, but I loved Inside Out even more. And Inside Out will win. Son of Saul is gonna win. The only potential spoilers are Mustang & A War, but I don't see any of them winning. 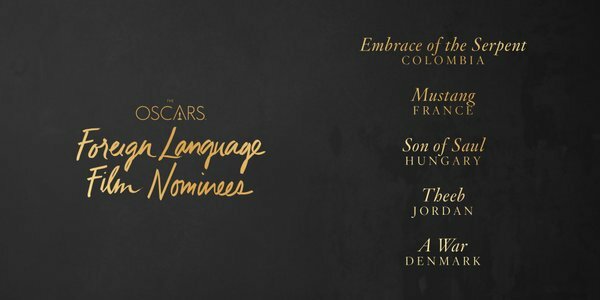 Son of Saul wins it. Amy is going to be the winner. 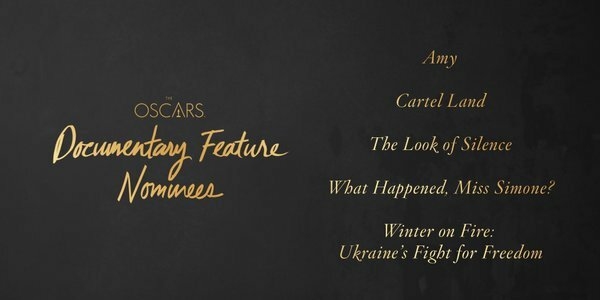 The only potential spoiler is Cartel Land. But Amy takes the award. However, I believe that Where to Invade Next should've been nominated. The frontrunners are Sanjay's Super Team & World of Tomorrow. 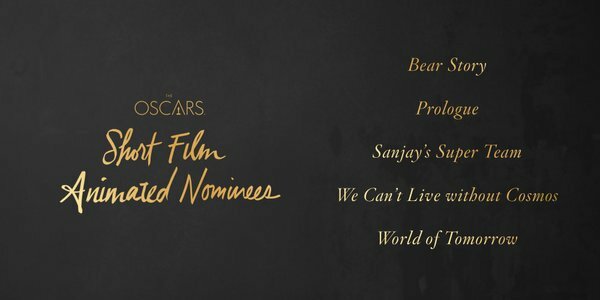 But Sanjay's Super Team will win it, giving Pixar their first Oscar for Best Animated Short since 2001's For the Birds. The frontrunner is Body Team 12. And that's what will win it. A Girl in the River: The Price of Forgiveness could be a potential spoiler, but I highly doubt it. Body Team 12 will win it. Ave Maria is the frontrunner. And it will win it. Stutterer has a very slim chance of being a potential spoiler, but it won't happen. Ave Maria wins it. Well, those are my predictions. 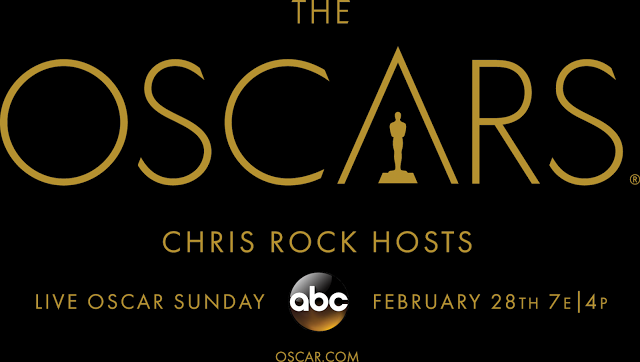 And remember to watch the Oscars tonight at 8:30 PM on ABC!